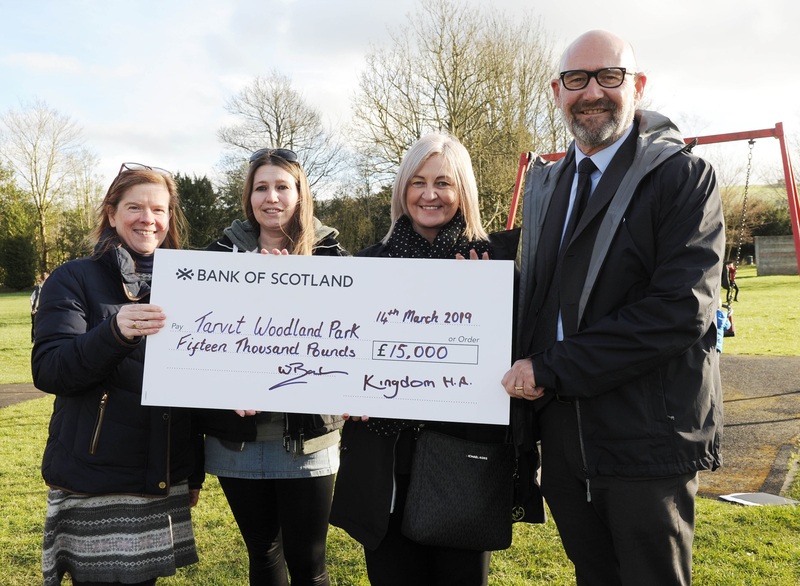 Residents of Tarvit Woodland Park in Cupar have received a substantial boost to their campaign to restore a local children’s play park with a £15,000 donation from the Kingdom Group. Bill Banks, Kingdom’s group chief executive, visited the group to present the donation. The local authority have helped the group draw up plans for a new park and provided some replacement swings and hope to allocate £15,000 from this year’s budget to help restore the wider restoration and upgrade of the park. The community’s plans for the park can be viewed at their Open Day and Coffee morning on Sunday 24th March 10.30am–2pm in the function rooms of Steven Stewart, Funeral Director, Provost Wynd, Cupar.